German refers to a West Germanic language which is somehow related and classified along with Dutch and English. The German language is considered as one of the major languages of the world. It has also become one of the most widely spoken languages in Europe considering the fact that it has around ninety to ninety-eight million native speakers. The majority of the vocabulary of the German language is taken out of the German branch of the family of the Indo-European language. Some of the most essential minor words of the German language are taken out of the Greek and Latin languages. It also has some touch of the French and the English languages. If you are on your quest towards learning German, then be aware that writing the language is usually done using the Latin alphabet which comes with twenty-six standard letters. The German language is mainly spoken in Germany since 95% of the country’s population uses it as their native or first language. Other countries and places that use the language are Austria, Luxembourg, Switzerland, Liechtenstein, Northern Italy, Czech Republic, Poland, Romania, Hungary, Slovakia, Russia and Kazakhstan. It should also be noted that the extreme popularity of the German language makes it the third, after Spanish and French, of the most taught foreign languages in countries that speak English. Note that the German language is also an inflected language which has three grammatical genders so there are words that can be taken out of the same root. If you want to become a certified professional in the field of speaking and writing the German language, then you should consider enrolling in the German certification program which is now available in a highly reputable online certification company called Brainmeasures. 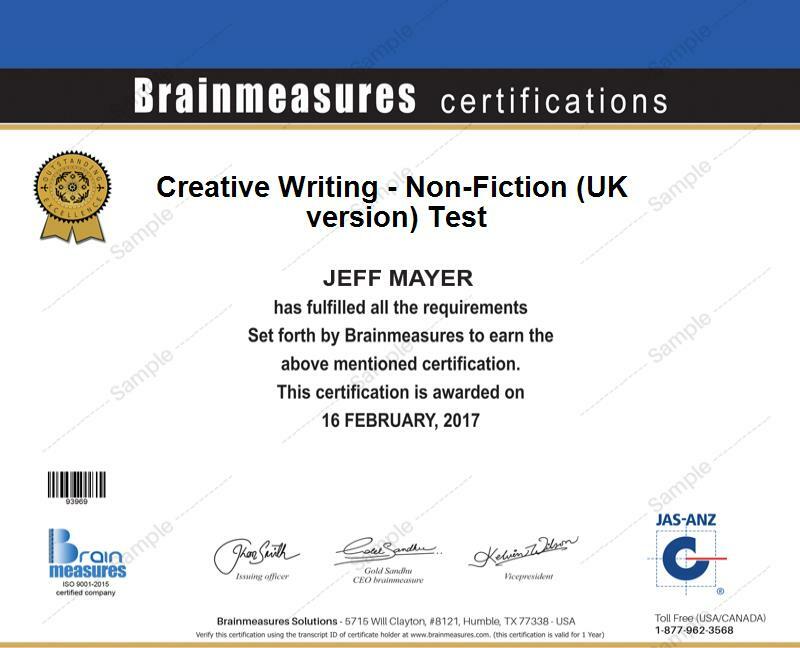 Brainmeasures has already proved to the public that all its online certification courses contain the most accurate and updated information so you have an assurance that you will have an easier time learning the German language after deciding to enroll in its German course. The good thing about this certification course from Brainmeasures is that it works in providing you with a highly comprehensive German training which covers all the major components of the German language. With the help of this German certification course, you will become more familiar about the most commonly used German words. You will also become more proficient about the German grammar, the proper usage of terms, nouns, verbs and pronouns and the basics of constructing sentences. Receiving your German certificate from Brainmeasures will serve as an indication that your ability to speak and write the German language can never be overlooked. How to sort out gender and case in German words? How to write and speak the German language using the present tense? How to combine verbs with modal auxiliaries? The German certification program which is now available at Brainmeasures is a major help in your attempt to master the basics of speaking and writing the German language. This online certification course is suitable for all those who aspire to master the language and become one of the most renowned German speakers and writers. It is also perfect for all individuals and professionals whose daily responsibilities require them to skillfully speak and write German. Your successful completion of a German certification course can also help you in significantly increasing the level of your salary. You can expect your German certification to help you in getting the position of a German translator or interpreter which usually offers an average annual salary of $55,000. If you decide to work as a German teacher or tutor, then you can expect to start earning within the range of $37,000 to $70,000 annually. You can expect this amount to significantly increase after you acquire more experience in this specific field and after adding the monetary benefits provided by your chosen employer.